Oscar might only be 18 months old. But he is in love. His love affair with drums becan a few months back when we started bringing him to band practice with us at our church. 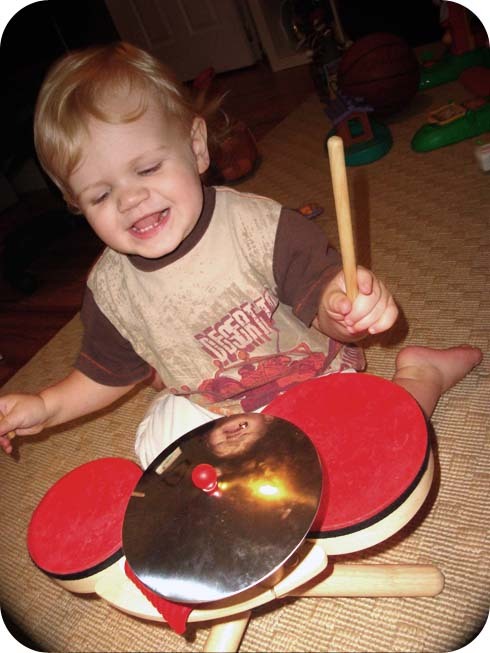 The church nursery also had little tikes toy drums, which he adored. So much that we decided to get him one. 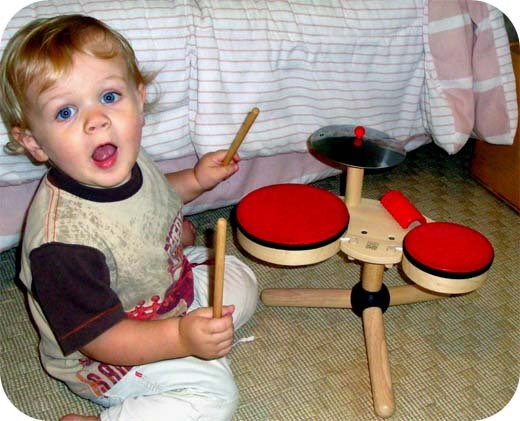 But then he started using his other toys to make more drums and more drums and more more more! It’s basically to the point that we leave the church in tears because no matter if he has been playing with drums for 10 minutes or 10 hours, he always wants more. So when CSN stores asked me to review something I looked and looked for things for the house. Maybe something for the kitchen? A nice picture frame? Storage bins? Nothing seemed right. That is, until I found this. Behold, the Plan Toys Musical Band.And OH does Oscar love it. It’s been in the house for exactly 24 hours and at least 6 of them have been spent playing the drums. The other 18 (give or take a few minutes) were spent sleeping, so you get the idea. It’s actually a pretty good babysitter. I can get things done and rest assured that I am not leaving him in front of the tv, though for now these drums have the same allure. Maybe I should buy stock in ear plugs. Disclosure: I was provided with a gift certificate from CSN stores to do a review. How do you pursue your Spouse? Your lil boy is a darling! Would you follow me too?